ALL the colours of the rainbow were on show when Macedon Ranges Health held its fourth annual ‘Colour Fun Run and Walk’. More than 650 participants and 100 volunteers took part in the event, getting splashed with colour for the happiest event in town. Macedon Range Health CEO, Don Tidbury, said the community has embraced the event and acknowledged their support and enthusiasm. 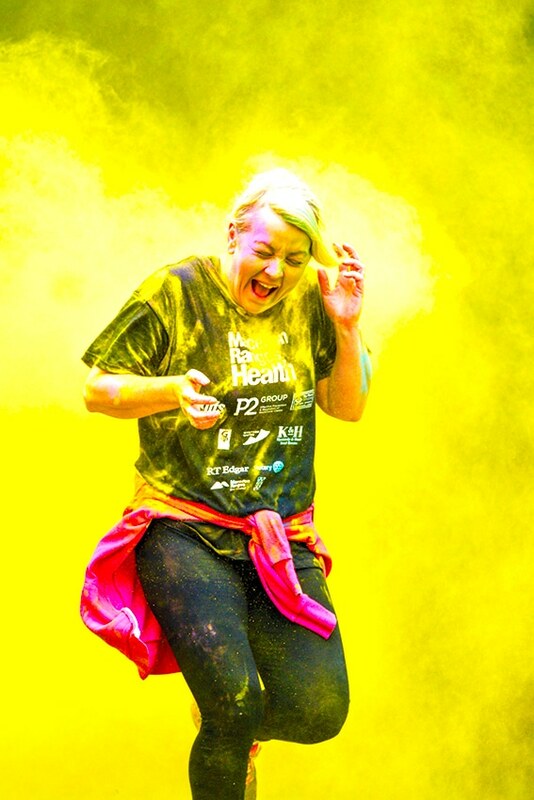 All funds raised from the Colour Run directly support Macedon Ranges Health, an independent not-for-profit provider of primary care, NDIS, welfare, home care and residential aged care. Macedon Ranges Health thanked their sponsors and volunteers for their support. Major sponsors this year were the Bendigo Bank and Neal Street Medical Clinic. Volunteer groups – who ensure the event remains incident free but still fun – included the Mens Shed, Live4Life Crew, Gisborne Scouts, Gisborne Thunder Swimming Club, Gisborne Church of Christ, Bendigo Bank, Rotary and the SES.